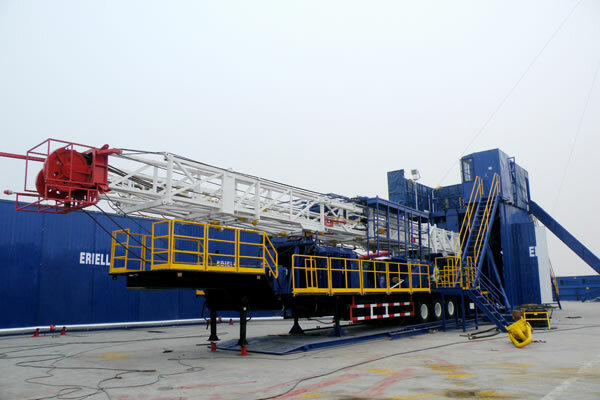 ZJ20T/1580 trailer mounted drilling machine features reasonable layout, reliable operation performance and low transportation cost, easy for on-site installation and maintenance, which is suitable for drilling operations of oil and gas wells whose drilling depth is within 2000m. 1. 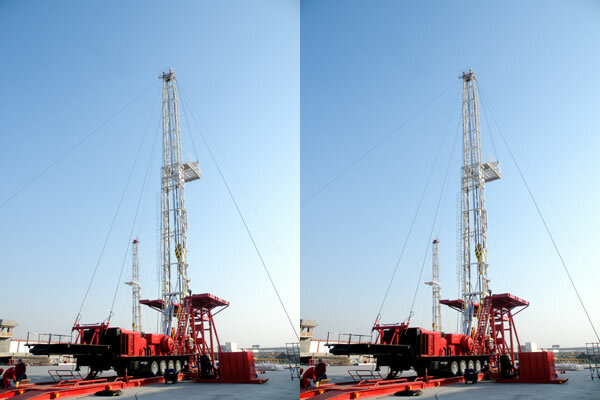 Mechanical drilling rig adopts Caterpillar diesel engine, which has a reliable performance. 2. The product is equipped with Allison S series hydraulic transmission case, which features low operation and maintenance cost. 3. 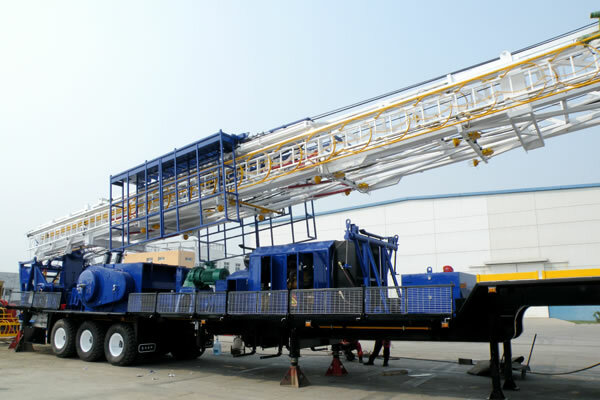 Trailer mounted drilling machine uses special semi-trailer chassis, which is fast and move cost is low. 4. The main brake of draw-works can be disc brake or belt brake. The auxiliary brake can be pneumatic water cooled disc brake or water brake. 5. 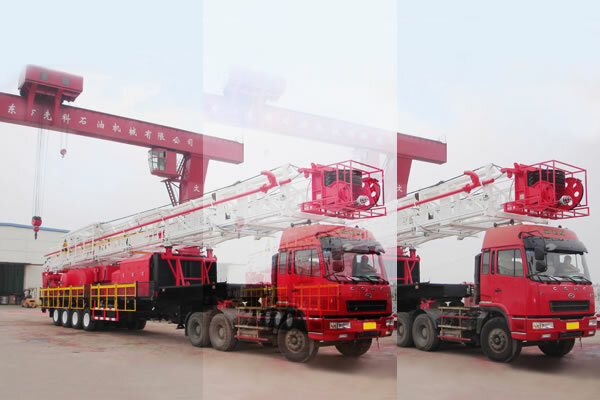 It is equipped with special three-axle semi-trailer chassis, reliable diesel power and transmission mechanism, 35m A type hydraulic telescopic mast.